One result of the post-modern turn in architecture has been a fashion for ‘distressed’ materials – weathered wood, stripped beams, broken bricks – that supposedly invest a new building with some sense of historical authenticity. Decayed materials speak of processes over time, their patina the result of a unique history. However, one sign of material decay – rust – has largely remained outside the pale of this recent appreciation of decay in building materials. 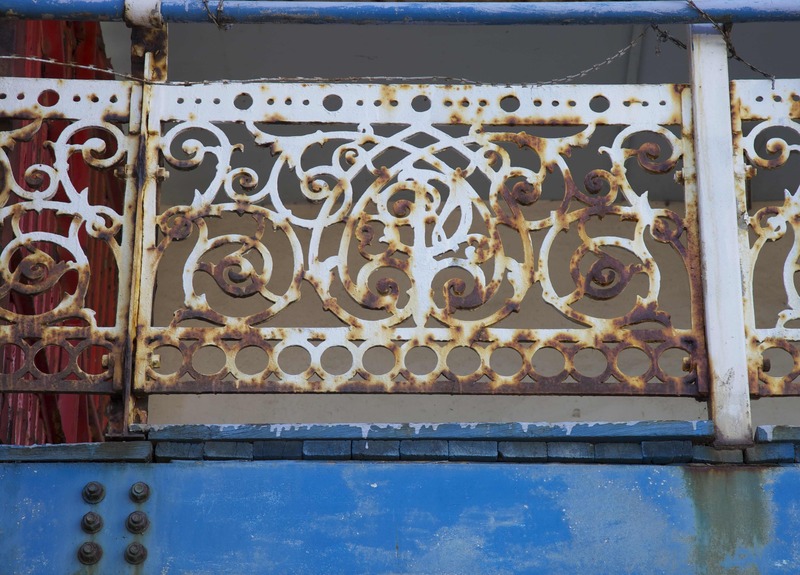 In almost all cases, rust devalues the object and as a result we fight a constant battle to protect our possessions and buildings from it – painting and repainting, sanding, filing, and soaking – to ward off oxidation. Yet, there have always been those attracted to rust. In 1890, the architect William Lethaby expressed his delight in iron’s appeal to the imagination. 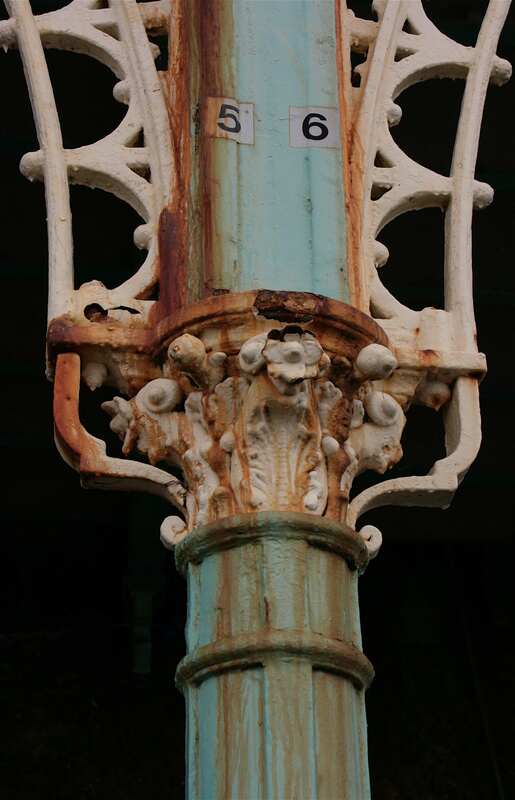 A material that spoke of strength, simplicity and severity, Lethaby argued that rust allowed nature to return to this artificial building material, giving it a ‘magnificent patina which was a true colour of iron’ and which contributed to its ‘mysterious appeal’. 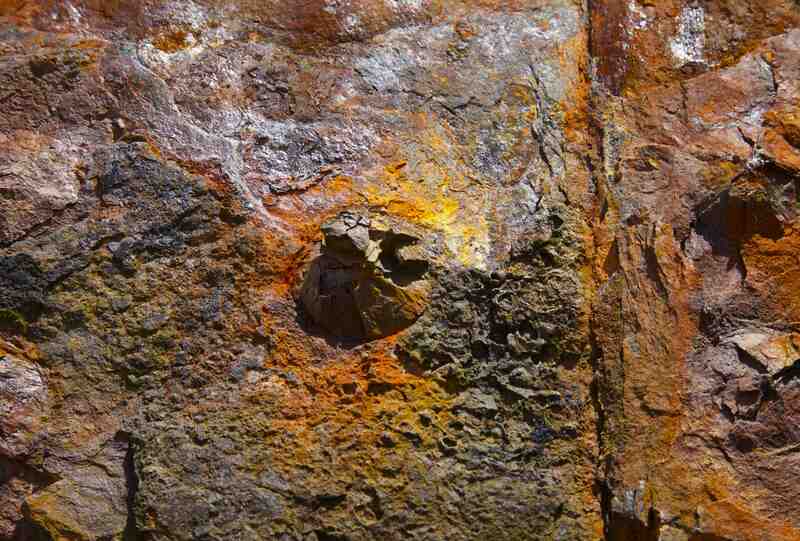 Today, a whole gamut of photography groups on Flickr testify to this strange fascination with decaying metal: ‘Wonders of Oxidation’, ‘Rusty and Crusty’, ‘The Rust Bucket’, to name only a few. According to Dylan Trigg, the contemplation of material decay, like rust, offers an escape from the illusion of progress that dominates our everyday perceptions. 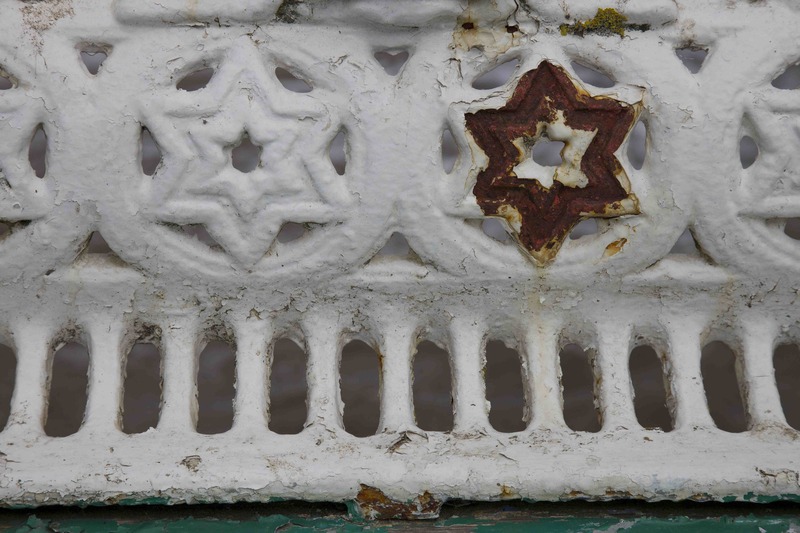 Taking the time to look at decaying objects means stepping back from onward rush to a slower time, that of gradual accumulations and imperceptible losses. In decaying materials, we are reminded that, at the root of things, entropy governs the material world – the unstoppable movement from order to disorder, form to formlessness. Of course, realising this produces melancholy, but a rich sadness that knows the fragility of life and perhaps even liberation from the need to impose order and clarity on it. 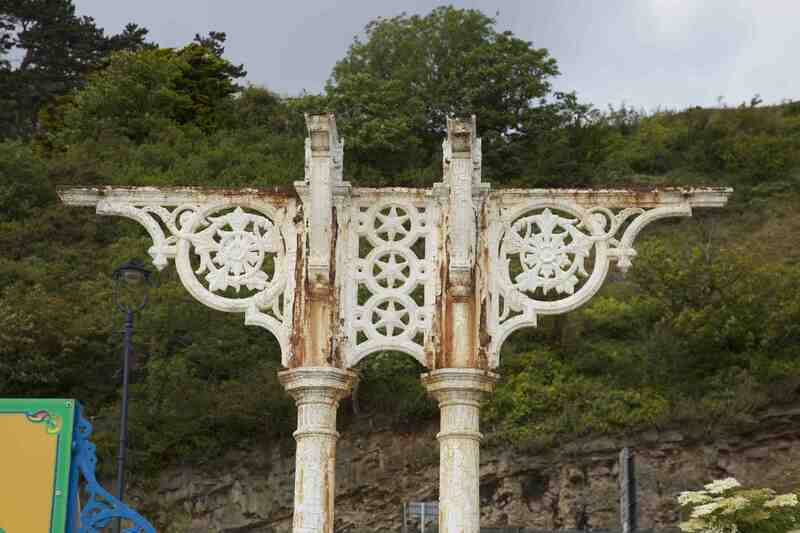 Perhaps nowhere is this sense of melancholy more powerful than in Britain’s seaside resorts, where rusting Victorian cast ironwork epitomises their long decline from opulent places of escape attracting millions of pleasure-seekers to the often-derelict and lonely places they are today. Here, rust speaks directly of both material and social processes of decay, and with it a mixture of pleasure and sadness. 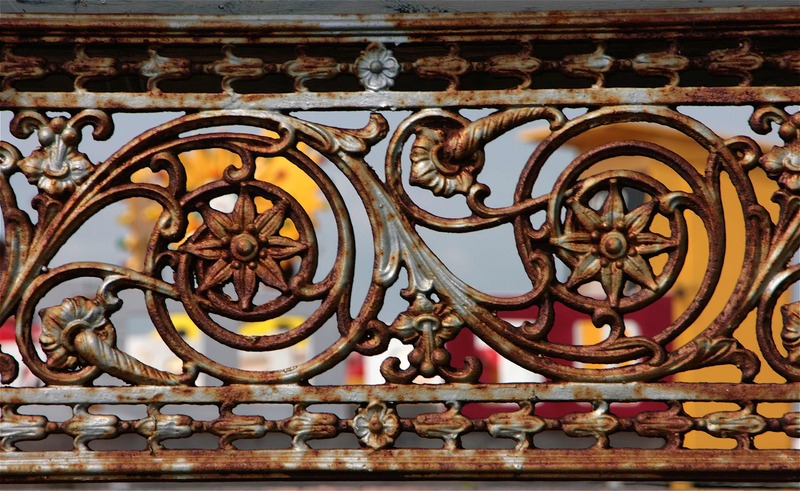 There’s no denying the rich lovely colours of cast iron created from decades of exposure to wild untamed nature, but the exotic ornamental forms, disfigured by years of neglect, also speak of long-distant dreams and desires that have either been cast aside or long-since transferred elsewhere. I am totally in awe of your site… wonderful. Thank-you! What a wonderful thing to say!